ADSTRA Systems (ADSTRA) has been an industry leader in developing dental software for over 20 years. ADSTRA is continuously improving their on-premise solution year after year. Now ADSTRA is providing the utmost up-to-date dental software, with the release of their cloud-based solution, ADSTRA Cloud. ADSTRA Cloud dental software uses Microsoft Azure – the most secure platform in the world. Microsoft Azure is used by many companies, large and small, as the host on their cloud solutions, and ADSTRA Dental Software is one of them. Using advanced encryptions methods and meeting the highest safety standards, Microsoft Azure is recognized as the most secure platform in the world and has methods in place for protecting against the loss of data. 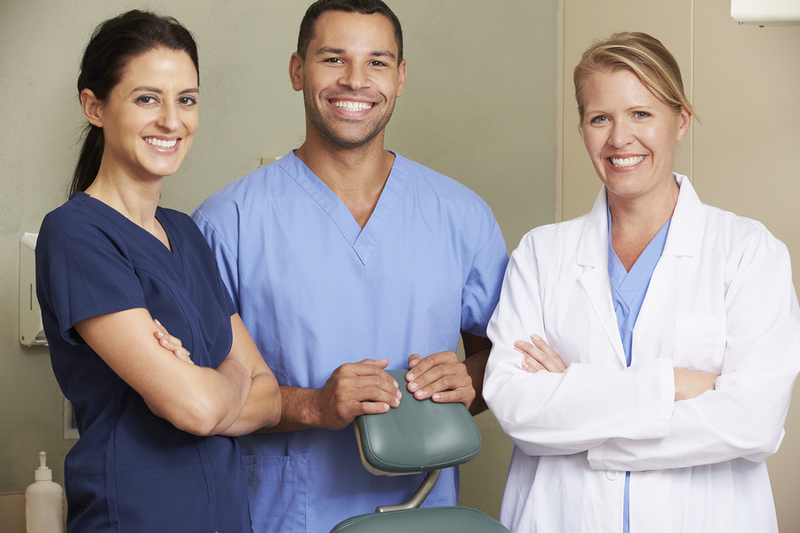 Working in the healthcare industry – dental providers have access to confidential patient information. It goes without saying that they have a duty to protect this information and ensure it is all securely stored. In recent years, many dental practices have been affected by Trojan viruses, like the Cryptovirus, and their data was held hostage until a hefty ransom was paid. With a cloud-based dental software solution like ADSTRA Cloud, situations like this could have been avoided. Since all of the patient data is not hosted locally on each computer, but instead on a safe and secure remote Microsoft managed server, Trojan viruses on the computer would not put the confidential patient data at risk. Combining the four ADSTRA modules (ADSTRA Management, ADSTRA Charting, ADSTRA Imaging, and ADSTRA Connect) that help modern dental practices become more efficient – ADSTRA Cloud is a one-stop solution that is ideal for both small and large, single or multi-location dental practices. Hosted on Microsoft Azure, the most powerful cloud service platform in the world, the ADSTRA Cloud dental software solution is a safe and secure solution with which dental clinics would not have to worry about the additional costs associated with servers and network connection. ADSTRA Cloud is hosted on the most powerful cloud service platform in the world and offers a cost-effective solution for your dental practice. With no need to budget for servers or networking – your capital expenditure funds can be allocated for major equipment purchases. With no need to worry about up-front costs, budgeting for servers, or even backing up your data – ADSTRA Cloud is an affordable and ideal solution for dental clinics of any size. ADSTRA Cloud is an all-in-one cloud-based dental software solution that offers an integrated solution for a paperless dental practice. In a day and age where everything you could imagine is available via the cloud – people are often left wondering what the benefits are to buying their software, apps, music, movies, and more, in this way. Dental software, and really – all software companies, are striving to develop cloud computing solutions that offer the consumer countless benefits. 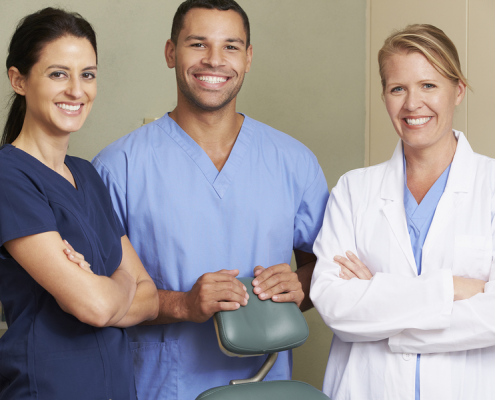 But what exactly are the benefits to a cloud-based dental software solution? Owning a physical copy of something is a way of the past. What would happen if you were to lose all of your music CDs? You’d have to go and replace them, right? That’s a hassle. Let’s say instead of having physical CD’s – you just purchased and downloaded your music. Now, no matter what – you will always have access to your music. You can’t lose something if it’s on the cloud. The same situation can be applied to your data. What would happen if your dental clinic had a flood or a fire? All of those paper charts and your computers themselves would be destroyed. Do you have a procedure in place to recover all of your patient’s data? If your patient’s data was stored on the cloud – all you would need to do is login from any computer to access it again. ADSTRA‘s cloud-based dental software, ADSTRA Cloud, is hosted on safe and secure remote Microsoft managed servers. This allows you to have the ability to access your data from anywhere, on any computer or tablet, via a secure Citrix login to Microsoft Azure. Microsoft Azure is used by many companies, large and small, as the host of their cloud solutions. 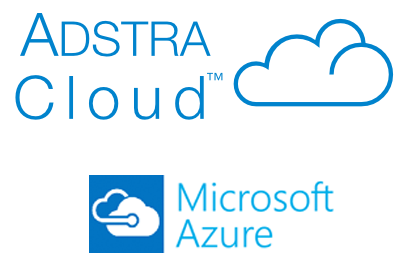 ADSTRA hosts a private cloud on Microsoft Azure. Using advanced encryption methods and meeting the highest safety standards, Microsoft Azure is recognized as the most secure platform in the world and has methods in place for protecting you against the loss or theft of your data. Working in the healthcare industry – dental providers have access to a lot of confidential information about all of their patients. It goes without saying that they have a duty to protect this information and ensure it is all securely stored. The ADSTRA cloud-based dental software, ADSTRA Cloud – is an affordable solution for dental clinics of any size. Partnered with the security of Microsoft Azure, ADSTRA Cloud is the ideal dental software solution for your dental practice. CONTACT us today to learn how ADSTRA Cloud can help your modern dental practice become more efficient. For as long as I can remember, I always dreamed of the day that I would open my own practice as a dentist. Finally, after years of studying – that day has arrived, and I couldn’t be more excited. Throughout our university days, I would tell my family about how I wanted to have a thriving dental practice. “I will open multiple clinics, offering a variety of specialized treatments that would offer patients a wide variety of service– all under the same practice!” I had always been the ambitious entrepreneur type, visioning the big picture and working towards it. Now that this dream was becoming a reality – I began to do a little research. This type of project is not a given, we are speaking of a large investment of not only time but also of money. Putting aside the costs in real estate which will be considerable, in 2016, the technological needs are much greater than they were twenty years ago. Looking over the cost of new servers, new computer systems, additional software licenses, backup devices without forgetting potential training for new employees, I was sceptical. After all, we are talking about tens of thousands of dollars. Finding a safe and secure solution that was easy-to-use and able to offer the ability to have our database accessible in multiple locations was a very important first step. Marge gave me the contact information for our current software provider. I wanted to see if there were any options available to make this switch easier, and to my delight – there most certainly were. The Customer Care Specialist informed me that they now offer a cloud-based version of their software that provides the capability to store documents, databases or software on a remote server. Hosted on Microsoft Azure, the most powerful cloud service platform in the world, the ADSTRA Cloud dental software solution is a safe and secure solution with which we would not have to worry about the additional costs associated with servers and hardware. We would be able to access our software and database over the internet, from anywhere and on any device. The difference with a cloud dental software system is that instead of having to install software on each of our stations, and to maintain our database locally, it allows us to access our software from anywhere, any time. It also offers the opportunity to share our database with several of our locations simultaneously providing the management team not only global reports but reports for each location as well. The idea of migrating to a cloud system interested me, as we do not want to have to divest ourselves of some of our older computers, and that this platform is also compatible with our iPads, this became a very interesting idea indeed. Since this kind of platform is accessible on a remote server, the main requirement needed is a fast and reliable Internet connection. Just as easy as checking our e-mail or browsing the Internet, by simply connecting to our remote server database and logging in with our individual user IDs, we could access our software. The ADSTRA Cloud dental software solution is a complete paperless system that also connects multiple locations with one database – this is exactly what I had to have in order to start building my dream dental practice.